McKee's 37 Home Brew Spray Wax Kit 128 oz. Make several gallons of spray wax with this concentrate! The McKee's 37 Home Brew Spray Wax Kit provides the perfect introduction into the world of spray waxes! This money-saving collection includes the safe and effective McKee's 37 Rinse Free Wash & Wax formula, which can be diluted into a spray wax, along with a durable 36 ounce Detail Bottle to dilute it in. McKee's 37 Rinse Free Wash & Wax can be used as a rinseless wash or a spray wax, making it a great value on its own. 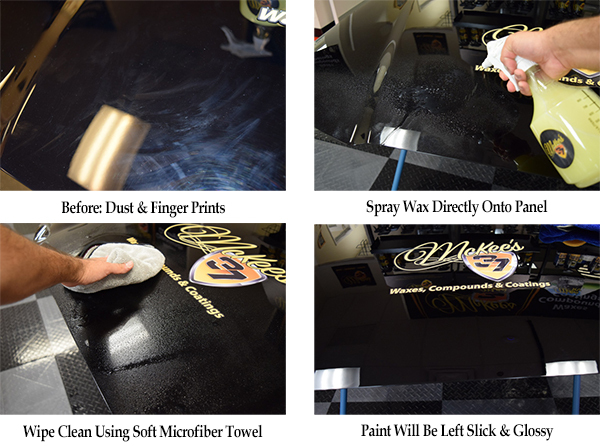 The McKee's 37 Home Brew Spray Wax Kit increases the value by including a bottle for diluting it and a 6 pack of high-quality microfiber towels too! The McKee's 37 Home Brew Spray Wax Kit is an essential addition to any detailer's arsenal! McKee's 37 Rinse Free Wash & Wax is packed with lubricants that wrap around dirt and grit to elevate it just above the paint surface. Specialized polymers grab dirt and trap it within the slippery solution of lubricants and water. As you wipe the wet surface with a microfiber towel, the dirt will stick to the towel, not the paint. Upon drying the surface, it will feel super slick and have an incredible gloss. In fact, McKee's 37 Rinse Free Wash & Wax offers more surface protection, slickness, and shine than any other quick wash or rinseless wash on the market! 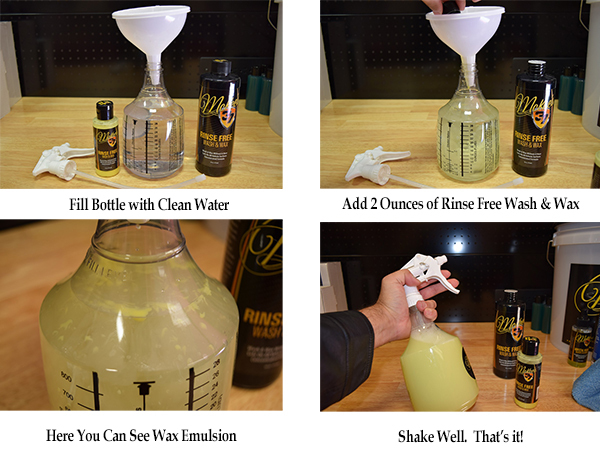 Dilute 2-3 ounces into the included spray bottle to make your own spray wax! Total retail value of $87.91. You save $27.92!